Sorry I'm a bit later on this article than I originally planned but I needed some time to process this amazing trailer. 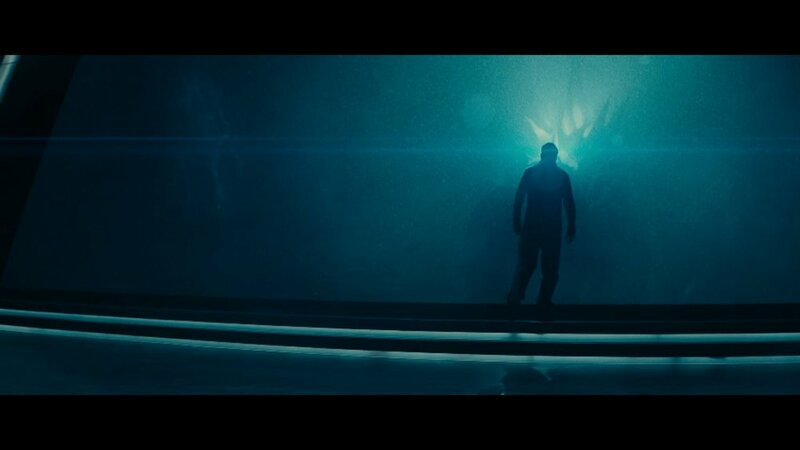 I haven't done one of these shot by shot breakdowns in awhile but I imagine I will be doing this for all of the 'Godzilla: King of the Monsters' trailers moving forward so look forward to those. For now, enjoy this breakdown of the amazing Comic Con trailer for Godzilla 2. Well that's definitely a scary sight! I believe this is the storm system caused by King Ghidorah simply existing rolling into Boston which is where our climactic battle take place. Run Madison run! Vera Farminga seems to playing our villain, Dr. Emma Russell, as she discusses humanity being a cancer to our planet. She and whatever organization she works for seem to be trying to wake up all of the monsters that Monarch have been studying. The end goal of this is to allow the Titans (M.U.T.O. has been retired as the catch all phrase for Kaiju in the Monsterverse) to rid the world of humanity. Also did I forget to mention she is Madison's mother? 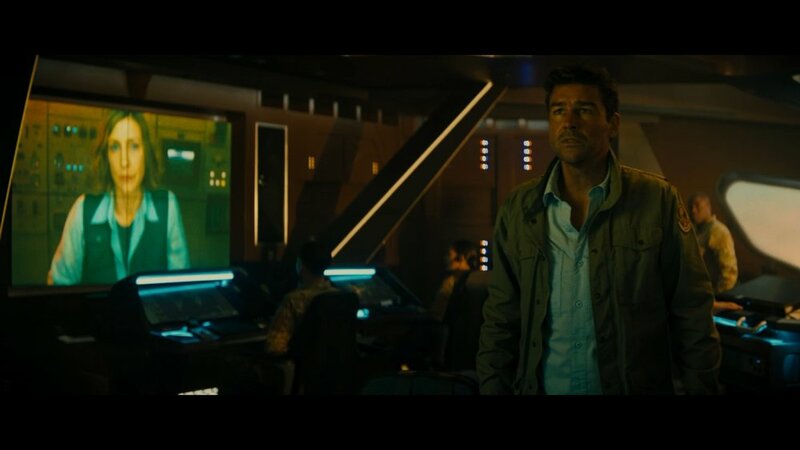 Kyle Chandler plays Mark Russell (Madison's father) who is seen hanging out with Monarch for the entirety of the trailer. I'm not sure if he works for them or is just using Monarch to get his daughter back. I have heard that he and his wife are divorced which we'll come back to later in this trailer. Monarch seems to be investigating an underwater temple of some sort. Who's leading this undersea journey? Dr. Serizawa of course! Ken Watanbe is reprising his role from 'Godzilla (2014)' and is one of two returning cast members. This ancient civilization seems to have worshiped Godzilla back in the day. Two more of our new characters! 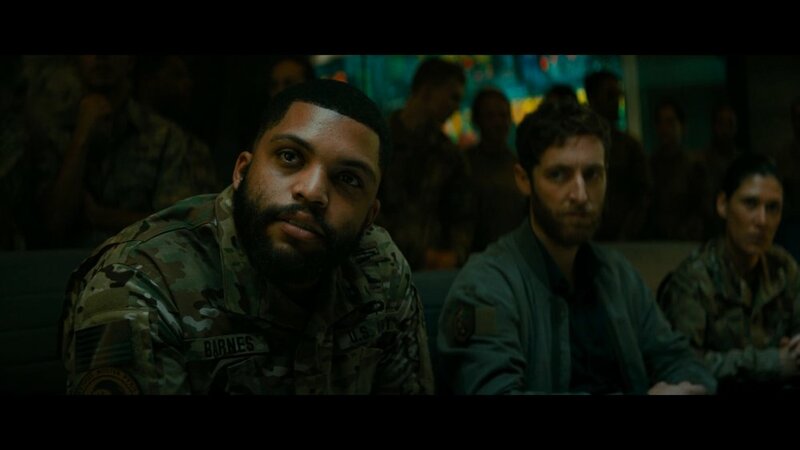 O'Shea Jackson Jr. (who is a huge Godzilla fan) is playing Chief Warrant Officer Barnes who is the leader of G-Team. G-Team sounds like it is the military squad that reports directly to Monarch. Thomas Middleditch plays the government liaison of Monarch. He reports all the details of the Titans to the higher ups in the US government. Wonder what Godzilla is up to? Mark Russell looks into the depths of the ocean from the bridge of some sort of submarine and is granted a glimpse of the King of the Monsters. The use of color and light in this sequence is beautiful and haunting at the same time. Love this reflection in the glass shot! 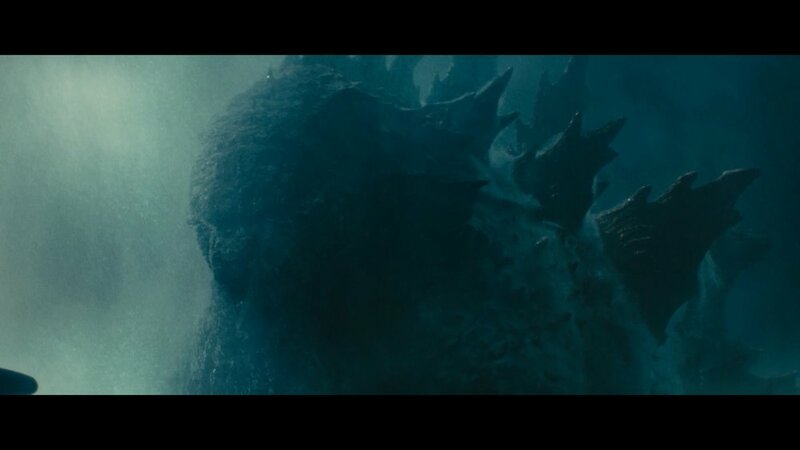 The rest of Monarch look on in awe at Godzilla. Not sure what the context of this scene actually is but man is it pretty. 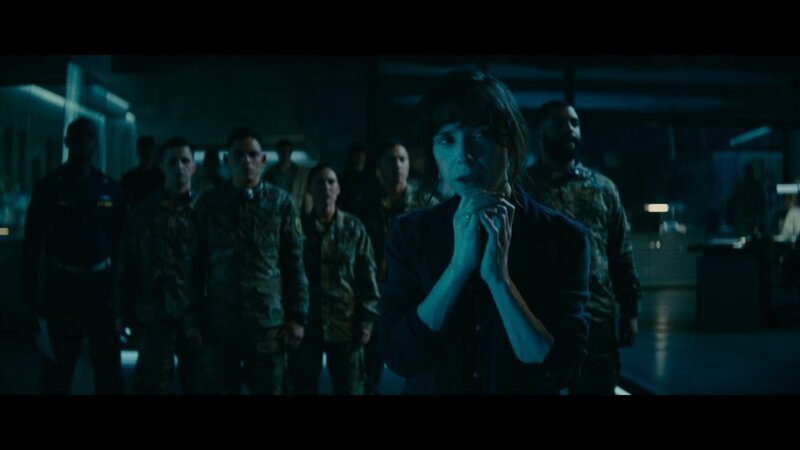 Sally Hawkins is back as Dr. Vivienne Graham and is the other returning character form 'Godzilla (2014).' Interestingly it doesn't look like Dr. Serizawa is with them on the sub. Wonder where he is? Ladies and gentlemen I give you our first look at King Ghidorah aka Monster Zero. He is currently frozen in ice in the Antarctic and is dormant. Judging from the rest of the trailer I don't expect him to be here long. Madison seems to be traveling with whatever this evil organization is called. Note that Charles Dance is here too and is probably the leader of the organization. They are definitely looking up at Ghidorah. So this shot is interesting because it is of San Francisco. I don't think we are going to see Godzilla destroy San Fran again so I'm betting on this being some sort of flashback. Why would they need to flashback? Well I have a theory that we'll get to later. Mothra cocoon! Love the blue lighting again! man there sure is a lot of Blue in this trailer (for the "good" monsters only it seems). Mothra is the most different looking of all of the Titans we have seen thus far. I'm not 100% sold on the small eye but I will probably grow to like it after we get to see the whole design. That's an interesting skin texture you've got there Mothra. Godzilla rising from the water will never not be cool! You also get a good first look at the different dorsal fin design but more on that in a second. There's our big boy! Michael Dougherty really did change the dorsal fins and they look way better than the 2014 design. Michael seems to have gone back to the more maple leafy look of the Toho movies and upped their size by a bunch. I really didn't have a big problem with the 2014 dorsal plates but I do like these a lot better. Whoa he glows a lot more when he uses his breath. I love it! 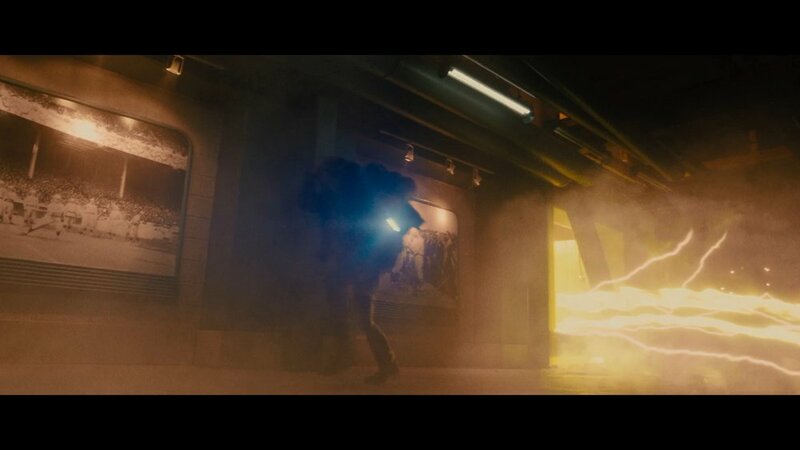 This was the first image we ever saw of this film and man is it beautiful in motion. His breath has gotten a huge upgrade from the previous film! Also note the sub that was previously viewing him in the water on the left. 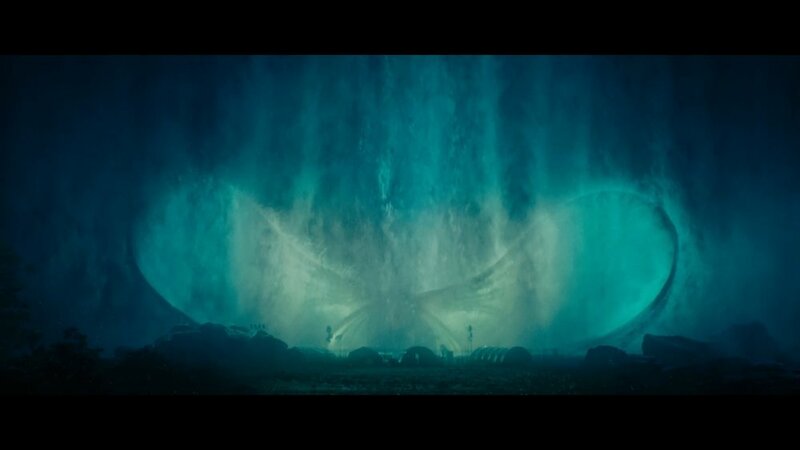 Mothra unfurls her wings in probably the most beautiful shot in the trailer. She looks so regal and really gives off that goddess feeling. 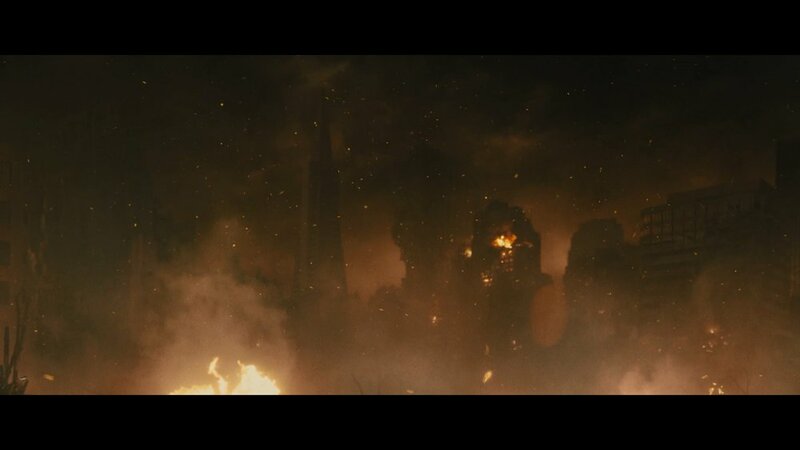 If you look closely you can see Mothra's head and eyes in this shot as well. Her wingspan is huge! I read the stats on the viral marketing page but seeing it is a whole other thing. She is going to need to be this big to stack up against the other threats in this film. This is the facility studying the Mothra cocoon before she hatches. A facility at the peak of a volcano explodes and releases one of our other monsters. I think this ties into another shot later in the trailer so bear with me. Rodan is free! I love the smoldering ember look they gave to his wings and I am super happy that he looks ripped straight from a Toho film. The thing that looks like a second Rodan in this picture actually is an advanced plane that I'm guessing G-Team uses. I spotted it later in the trailer as well. As I said with his design, this is ripped straight out of a Toho film! Rodan simply flying over a city and it being blown away (akin to a nuclear blast) is exactly the imagery I have always wanted to see with modern special effects. I believe this is Madison running desperately away from Ghidorah's gravity beams! I believe this sequenece follows a shot later in the trailer. Nice little nod to John Carpenter's 'The Thing'! 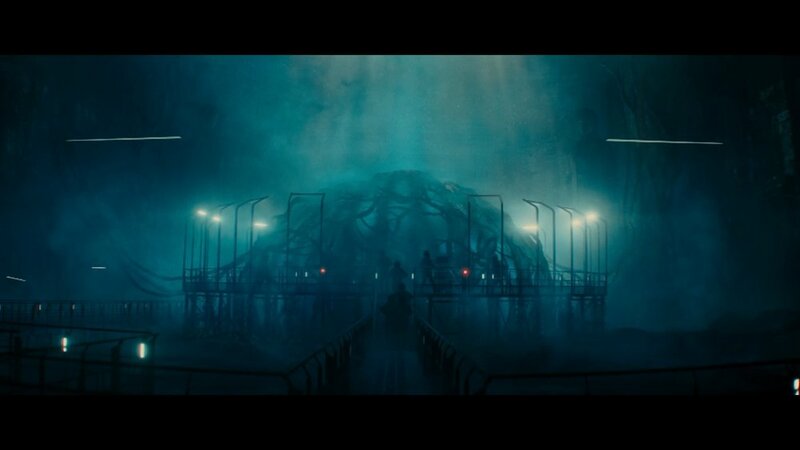 That movie took place at facility #31 in the Antarctic and Ghidorah's facility is #32. Also these are the evil organization's soldiers storming the facility. Family photo of our main characters and there seems to be an older brother in the picture. Hey remember how I said that I had a theory about the shot of San Francisco earlier in the trailer? I wonder if the son died in the San Fran attack in 2014 and it caused Emma and Mark to get a divorce. The death of her child could be the reason Emma wants to wipe humanity off the earth via Titan. Just a theory for now. Things get nuts when Ghidorah is flying around. 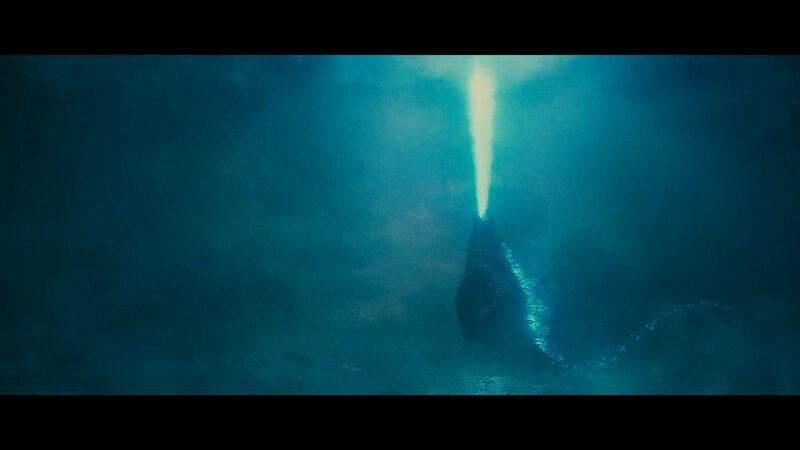 Not sure if this is a gravity beam or just a random bolt of lightning but regardless Ghidorah is the cause. Madison seems to be in a spot of Ghidorah trouble in this scene but it appears to be taking place in a house. Her house in Boston is a safe bet. Lava temple! 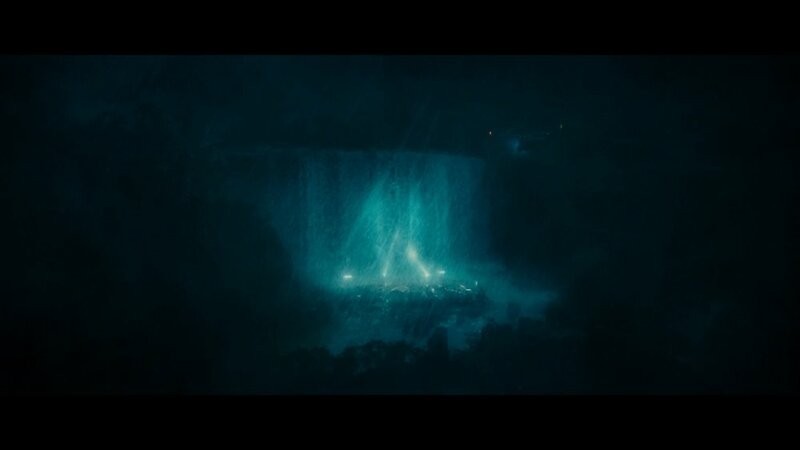 We see this place later in the trailer but judging off it's design and it's location inside of a volcano, I'm guessing this is a temple devoted to Rodan. The movie is pulling from various mythologies and stating that the Titans are the truth behind many of the mythological creatures in our real world. Rodan is Quetzalcoatl so the mayan/aztech temple makes all sorts of sense. This is probably that explosion we saw earlier at the peak of the volcano. Rodan awakens! One of the most foreboding shots in the trailer, Ghidorah and Rodan are clearly apocalyptic events and have completely wiped out Boston. The visuals are once again stunning. Ok I'm pretty sure this is in the same sequence of Madison running away from the gravity beams tearing apart the Antarctic facility. Ghidorah has a very nightmare inducing look in his eye. Get out of there Madison! Rodan takes out some fighter jets in what will be one of the more thirilling sequences in the movie. Very cool brief look at Rodan's mouth/beak in this shot (love the teeth). Rodan skims the water while fighting the jets and leaves burning wreckage in his wake. Ghidorah has arrived and he is huge! if you look close enough at the tiny blue light you will see that it is the G-Team plane from earlier. Not sure how long it will last against that! I really love the glowing eyes and his wingspan is something Rodan and Mothra must be jeaslous of. "Long Live the King." I think he's talking about Ghidorah not Godzilla. Brief glimpse of Rodan's head. He has the two horns flowing back just like the original Toho design. I love how his silhouette is instantly recognizable. Seeing something so big move so fast is scary! Wait somebody is in that lava temple that explodes? Who is it? Madison looks up as jets fly into what I'm assuming is Boston. 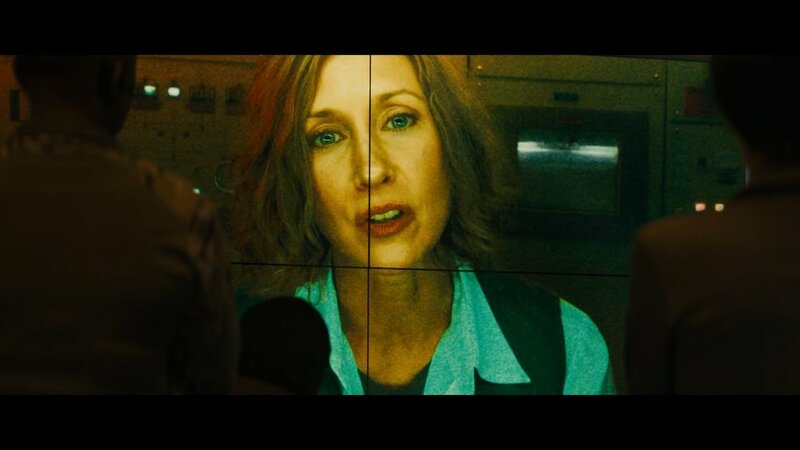 These three final shots of her and Godzilla clearly flow together. Hmm so Serizawa is the one in the lava temple? He wasn't on the sub earlier so maybe he doesn't get out before the bomb goes off. This is Mothra using her "Blinding God Rays" as described in the viral marketing. Madison smiling at Godzilla's arrival. I think this takes places before the shot of the jets flying over her. A king's arrival is never silent. Godzilla leads an army of jets into the storm to fight Ghidorah! Wow that was one heck of a trailer! We got so much more from it than I expected and I think I speak for all Godzilla fans when I say the wait was worth it. We've got 10 month's until the movie releases and I can't wait for the marketing to kick into high gear again. I leave you with the first poster for the film! How excited are you for the movie now that we've gotten the first trailer? Newer Post'Godzilla: The Planet Eater' Trailer 1 - That's a Long Snakey Boy!